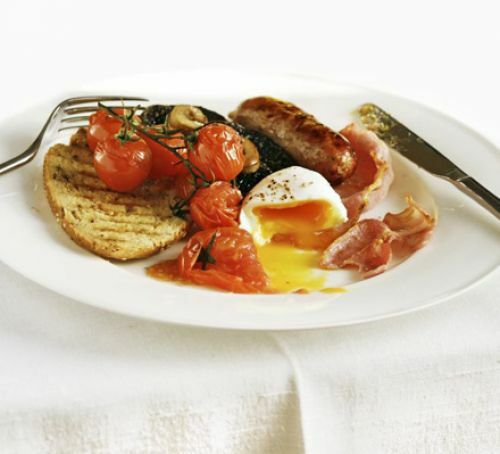 If Food be the Music of Love - read on! Valentine’s Day - A romantic opportunity not to be missed! • In the Middle Ages, young men and women drew names from a bowl to see who would be their Valentine. They would wear this name pinned onto their sleeves for one week for everyone to see. This was the origin of the expression "to wear your heart on your sleeve." • One billion Valentines are sent each year world-wide, making it the second largest card-sending event of the year behind Christmas. • Apparently women purchase approximately 85 percent of all Valentines. • Ever wondered what profession receives more Valentine cards than any other? Teachers receive the most Valentines, followed by Kids, Mothers, Wives and Sweethearts. • Strangely enough over 650 million Valentine cards are also exchanged each year by children between the age of six and ten. • Statistics reveal that more than nine million pet owners buy gifts for their pets on February 14 - must be puppy love! 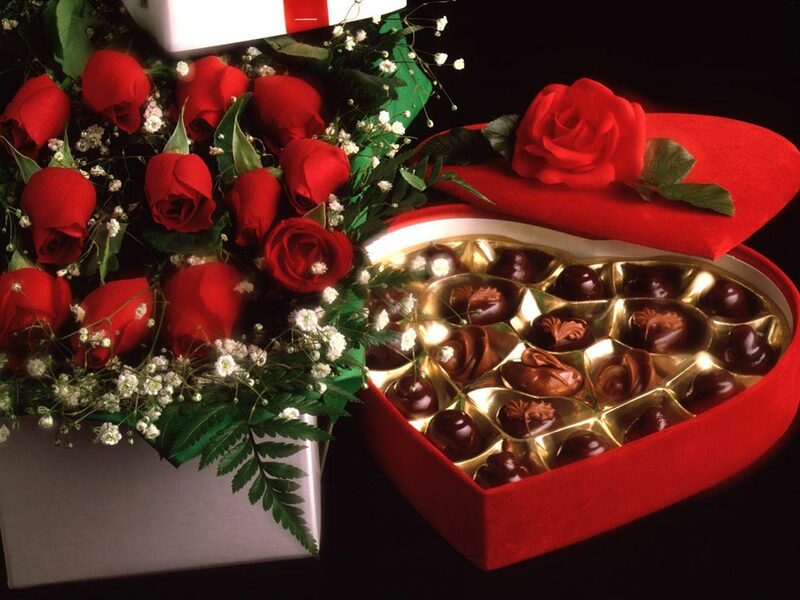 • More than 36 million heart-shaped boxes of chocolate are sold for Valentine's Day each year. Over 50 million roses are given each year for Valentine's Day worldwide. • Shakespeare’s Juliet may be a character of romantic fiction who also dies in the play that’s centuries old but bizarrely enough the city of Verona in Italy where the play was set still receives more than 1000 Valentine cards addressed to Romeo’s other half. Romance is obviously alive and well so spoil someone special this St Valentine’s Day with some of these irresistible and romantic treats. 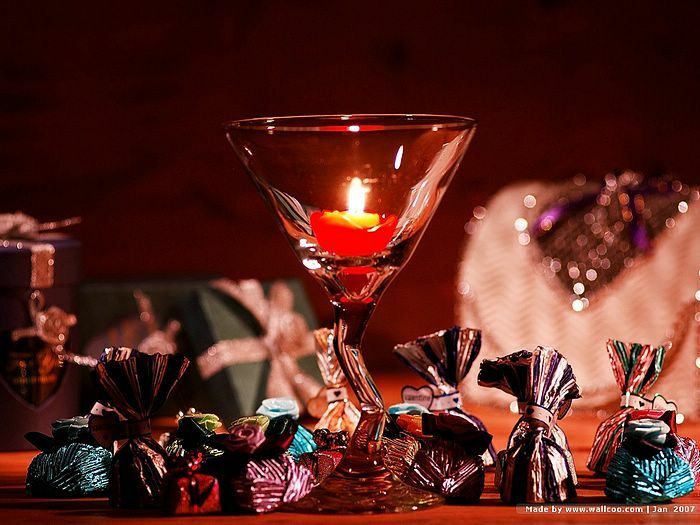 Finding the right gift for Valentine’s Day can be difficult - but here at Godfreys we have generations of experience in providing just the right ingredients for that magical candle lit dinner to celebrate St Valentines - the patron Saint of Lovers. 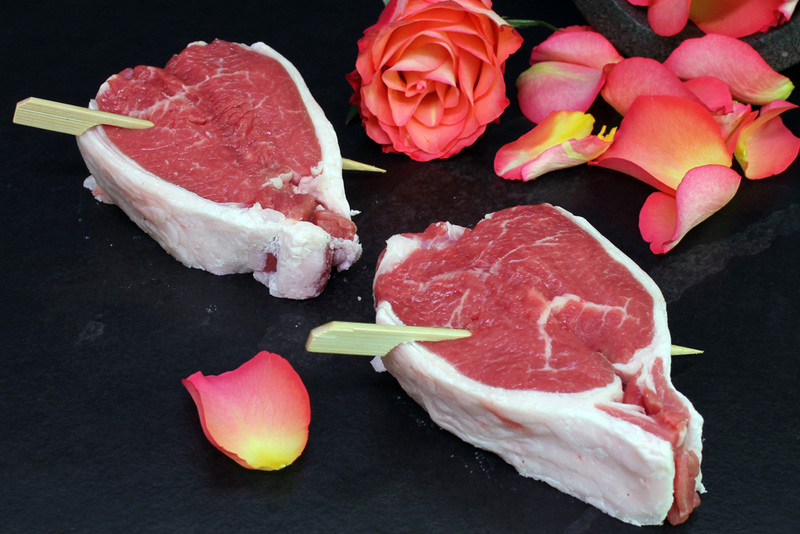 So to help you do that we have produced some special celebratory Cuts - plus kept some of the old traditional favourites to help make your intimate special evening a memorable and romantic treat. 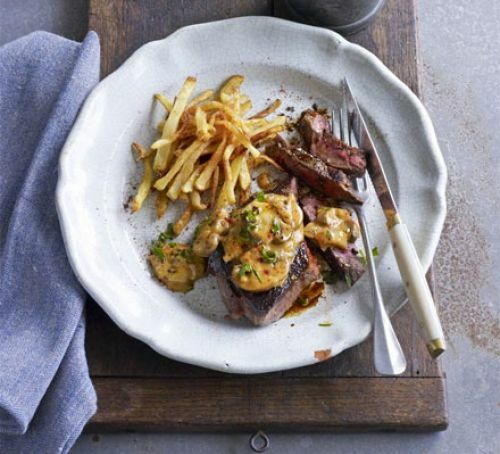 You can choose to stay on the reliable and well beaten track with the traditional succulent Steaks or try something different - perhaps from the list of recipe suggestions below - the choice is yours! Start the day in a decadent fashion. 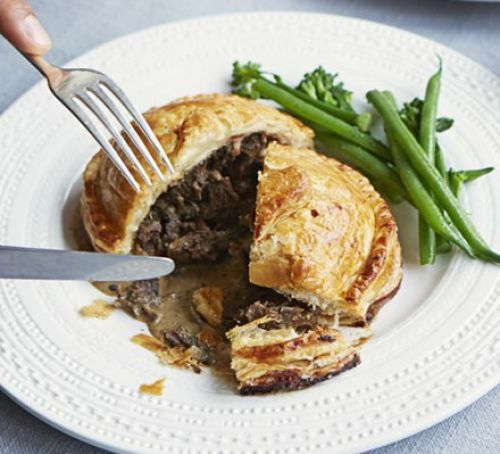 Crisp Puff pastry covers tender meat in these individual Wellingtons - the ultimate main course for a romantic Valentine’s Day meal for two - and a Thrifty Cut too! If you have never enjoyed a T-Bone Florentine Steak before - this is one of the world’s great romantic sharing treats - not to be missed! 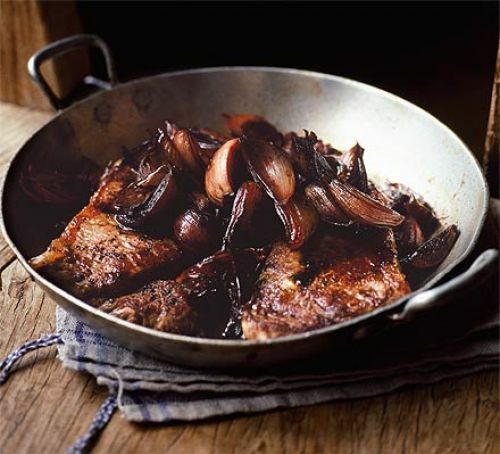 Chef Henry Harris never gets bored of this recipe - its beauty lying in the perfect amalgamation of rich Brandy and Veal stock, combined with meaty resting juices and caramelisation from the pan. Get the sauce right and it is a thing of unparalleled beauty. 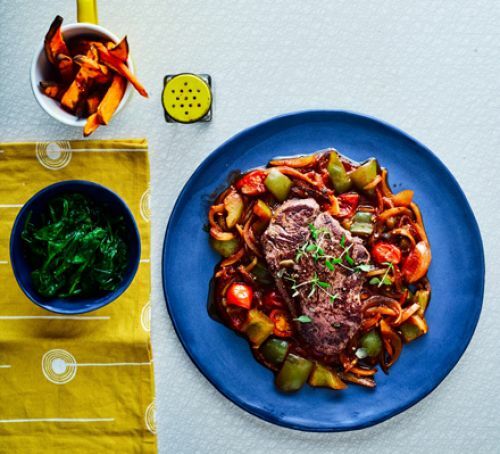 Enjoy Fillet Steak with sauce for a healthy dinner that also boasts Sweet Potato Fries, Spinach and Cherry Tomatoes. You'll be getting all of your 5-a-day. Healthy. Preparation time 10 mins : Cooking time 25 mins. A perfect treat for two. 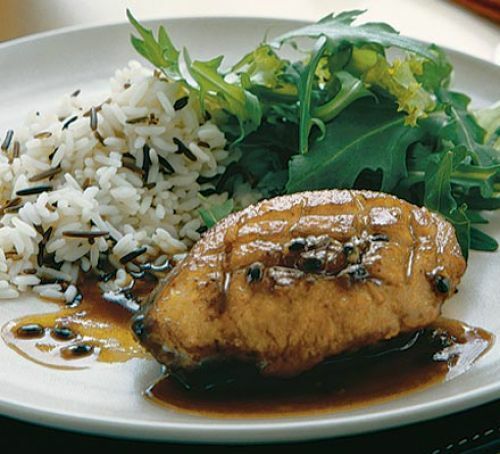 This Middle Eastern-style meal makes a decadent supper for two - serve your Poussins with a spicy and aromatic rice accompaniment. 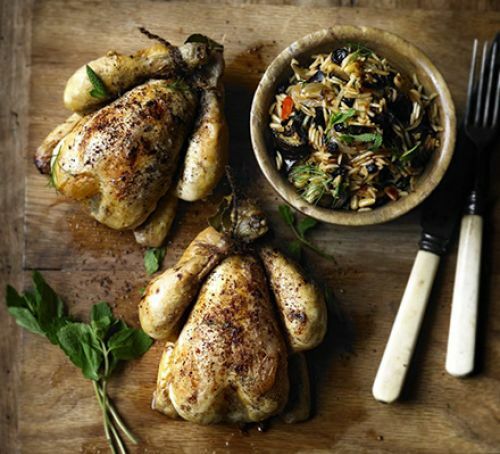 So why not give it a Click - and experience a whole new way to enjoy Godfreys Free Range Premium Meats and Poultry - all week long - by ordering from the comfort of you own home - or office - at a time that is convenient to you. Whatever your choice - do have a fabulous and romantic St Valentine’s Day! The ultimate in succulent, buttery tenderness. The classic steak - beautifully marbled, sweet and tender. 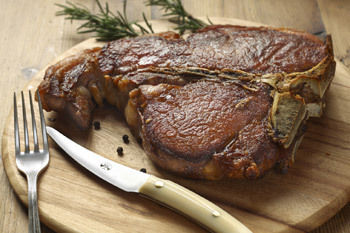 Dry-aged on the bone, and renowned for its succulence and flavour. Tender, with a juicy, full flavour imparted by careful ageing. Marbled Ribeye Steak marinated with a mixture of mild peppers and herbs. 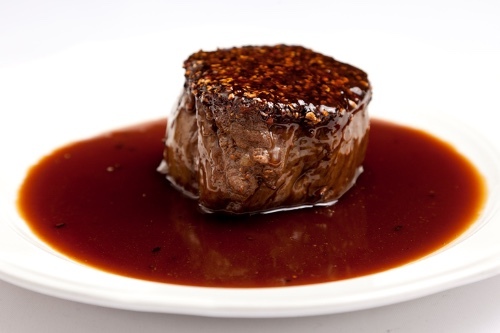 The best of both fillet and sirloin in one, it is generous in size and flavour. A culinary mind blower - one of the world’s sharing treats - not to be missed! Cut from the marbled head of our finest beef tenderloin. The French Classic - well marbled, tender and full flavoured. One of the UKs most underrated and tastiest cuts a butchers secret. A unique juicy Fillet Steak experience - at a fraction of the cost. 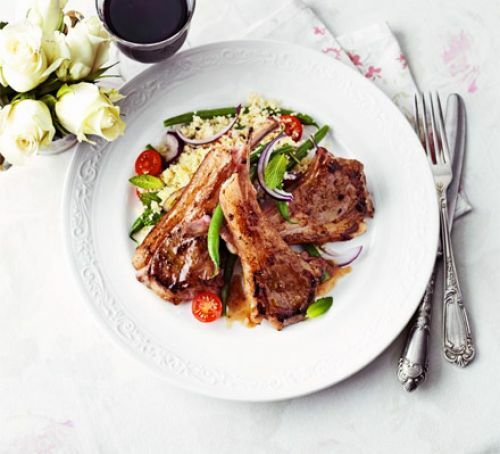 French trimmed succulent cutlets of Lamb. Fabulous flavour - perfect for stews, casseroles or a Duck Confit.